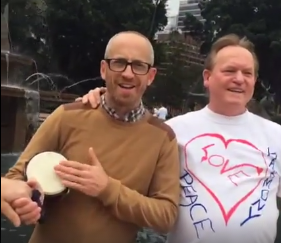 In Sydney, the Tao Healing group held a flash mob with choreography, musical instruments and chanting to celebrate International Day of Peace in September 2016. The group started in Hyde Park by the historic Archibald Fountain and then walked hand-in-hand on the streets to Pitt Street Mall. At Martin Place, the group continued chanting with gongs, bells and drums.